Communicate your progress with confidence. 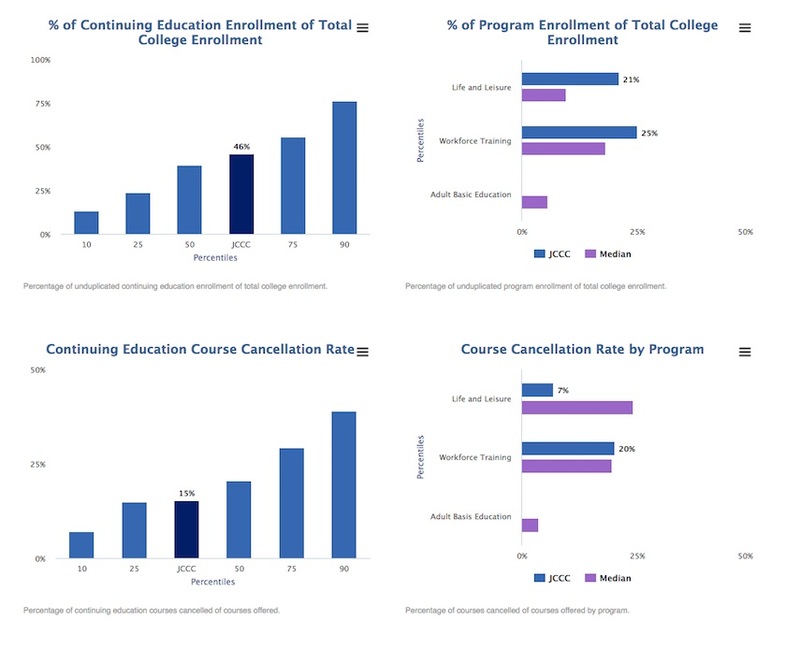 Executive reports provide powerful data on how your community colleges are performing—and then help you communicate that clearly and quickly to your president and other stakeholders. 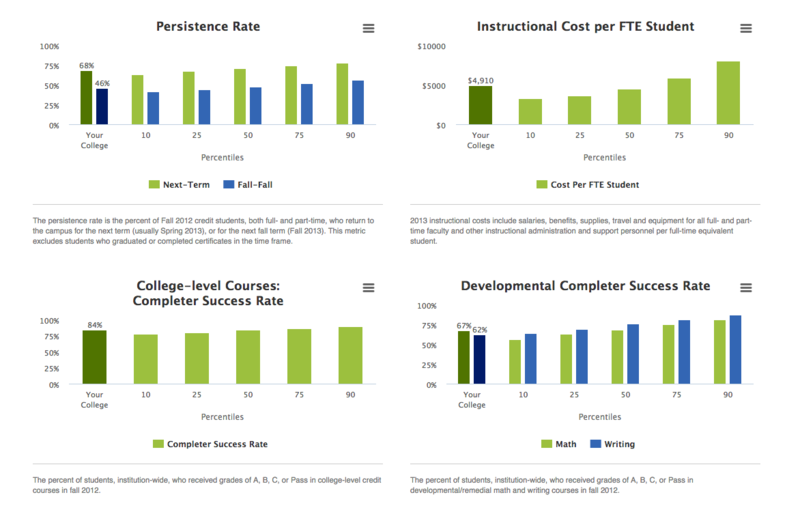 These reports summarize your college’s strengths and weaknesses, and track the six most critical, top-level benchmarks: persistence, retention, transfer rates, graduation rates, developmental success, and cost per credit hour. Additionally, the summary report will be available for continuing education professionals to quickly review their performance on key benchmarks.